Great investment opportunity! 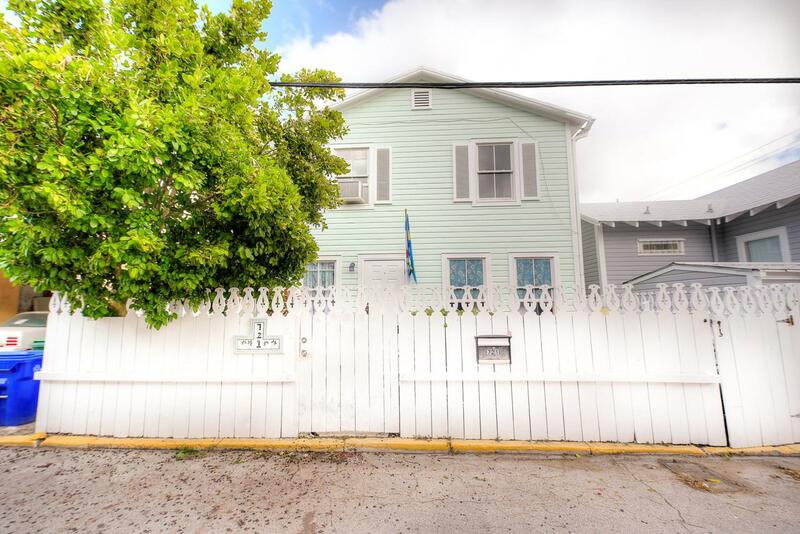 Updated duplex in the delightful Meadows neighborhood, just minutes from some of Key West best restaurants, the Historic Seaport, art galleries, museums and Duval Street. Each unit is 1 Bedroom/1 Bath that is in good rentable condition. Rent the entire property and collect rental income or live in one unit and rent out the other to offset the mortgage or expenses all while enjoying your time in paradise. The 2nd floor unit has all tile flooring with a recently updated bathroom, corian counter tops and a balcony off the rear of the unit. 1st floor unit has beautiful hardwood floors with French doors opening to a private outdoor deck perfect for entertaining guests. Both units feature hurricane rated impact windows that were installed in 2010...and the exterior was recently painted.